There are unique complexities to treating someone with severe mental illnesses (SMI), such as schizophrenia and bipolar disorder. It is even more challenging if that individual becomes diagnosed with cancer. While anyone can get derailed by being medically sick, those with SMI are particularly vulnerable. The trigger of the physical disease can destabilize their already tenuous state of mind. They may become more confused, scared, or paranoid, and lack trust in the people caring for them. One of the most challenging aspects is that often times, the severely mentally ill cancer patient is difficult to engage. Their symptoms are unlike those of someone who is not also suffering with severe mental illness. The medical issues trigger the psychiatric symptoms, and the exacerbated psychiatric symptoms prevent the best possible medical care, because it is harder to communicate with the patient, and they may not be compliant. Their behavior is sometimes bazaar or withdrawn. This is why a bridge- a team based approach, is so essential. 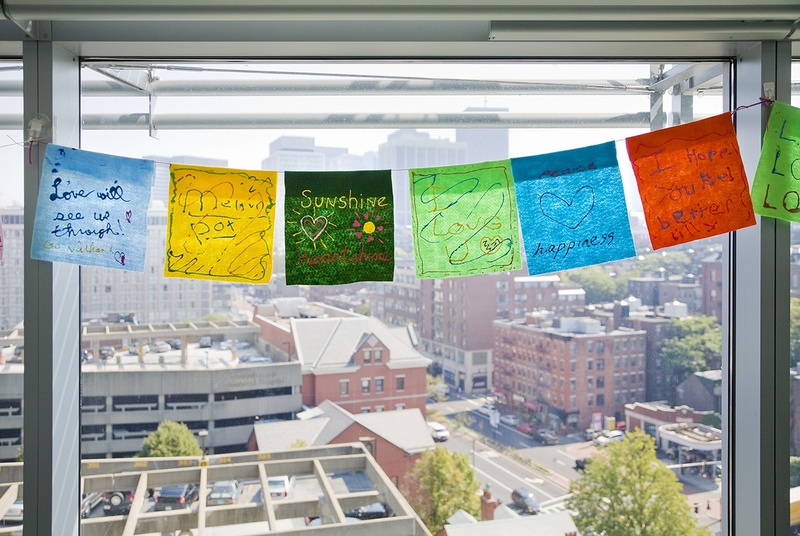 The Collaborative Care and Community Engagement in Psychiatric Oncology Program has had a tremendous impact on many lives at the Massachusetts General Hospital. Take Jonathan Archibald for example, the 43-year-old son of Joan and Henry Archibald of Medford, Massachusetts. Having lived with bipolar disorder from the age of 16, he and his family were accustomed to the challenges of mental illness. But when Jonathan was diagnosed with colorectal cancer in 2014, his already challenging mental illness became exacerbated. Jonathan stopped going to his psychiatric appointments. He became more destabilized than ever, and required multiple visits to the in-patient psychiatric unit. He only sporadically made his radiation and chemotherapy appointments, alternating between wanting and not wanting treatment. It was hard for his practitioners to know what he really wanted. It became essential that Dr. Irwin, Psychiatrist at the Massachusetts General Hospital Cancer Center and Schizophrenia Program, and founder of the Collaborative Care Program, was at the center of Jonathan’s treatment plan. She was able to visit Jonathan repeatedly and gain the trust that was needed to navigate the complexities of his sporadic and sometimes frustrating behavior. Last year, Jonathan’s cancer spread and he became more and more compromised. He needed tubes to drain his kidneys, and his quality of life suffered significantly. He said that he wanted to terminate all treatment. 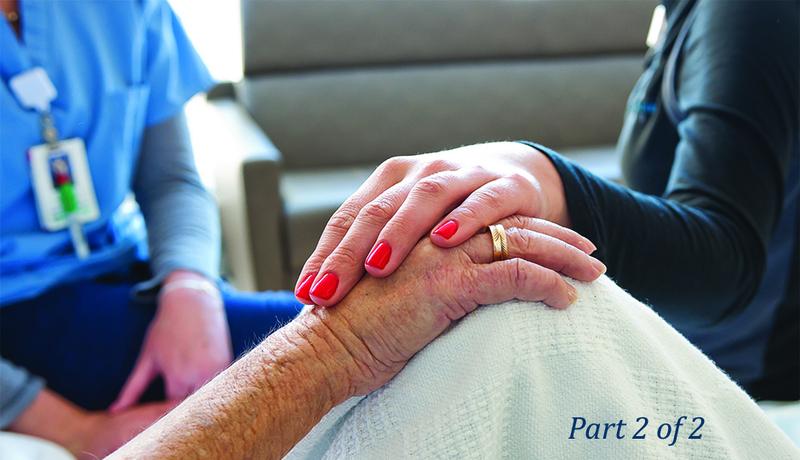 understanding, without a doubt, that Jonathan did not wish to suffer anymore.” Conversations about comfort and care at the end of life are challenging under any circumstances, but when a patient has SMI, it adds layers of complexity, that can only be solved through a collaborative care approach. The patient and family centered care, which took place across all the settings where Jonathan was a patient, was what worked in the end. Once Jonathan and his family decided to focus on relief of suffering and maximize his quality of time with family, his parents, Joan and Henry felt like they could go back to being parents again. The struggle to balance advanced stage cancer therapies with psychiatric episodes was over, and they could rest in their sincere desire to promote dignity for their son. Only through a highly specialized program such as the Collaborative Care Program in Psychiatric Oncology at the Mass General Cancer Center, would it be possible to give this level of care and concern in a dedicated and organized fashion. The interdisciplinary team of oncologists, psychiatrists, social workers and nurses, continue to work with many patients with SMI who are facing a cancer diagnosis. 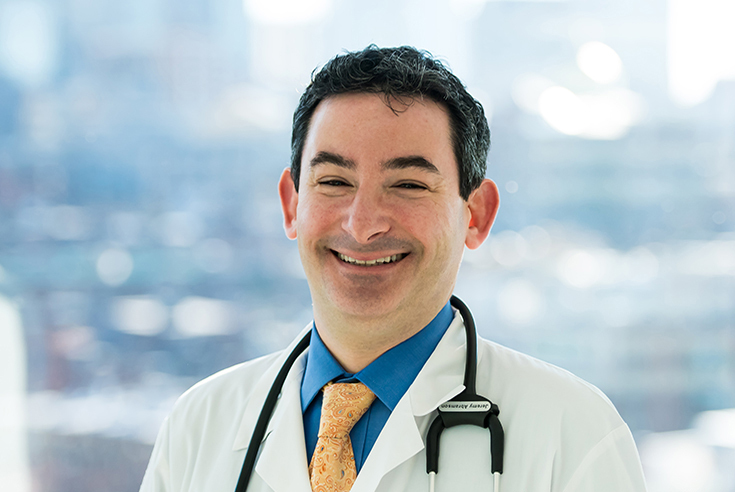 Click here to learn more about the Collaborative Care Program in Psychiatric Oncology at the Mass General Cancer Center.